How about playing music on iPhone without Wi-fi? Check out the list of the best free music download apps for iPhone XS/XS Max/XR/X/8/7/6s/6/SE to enjoy unlimited music and songs on iPhone offline. iPhone makes life easier in many ways, not all ways however. One flaw that drives many users crazy is the complicated process to free download music to iPhone device for offline playback. Even the release of Apple Music doesn't make things better. So free iPhone music downloaders are something a lot of Apple users actively look for. Luckily that quite a few free MP3 iPhone music download apps to cover your needs to enjoy music without Wi-Fi. MacX YouTube Downloader - Top iPhone MP3 music downloader to free download music videos in HD/UHD, MP3 songs from 300+ sites, including YouTube, Vevo, Vimeo, SoundCloud, Grooveshark, Pandroa etc for iPhone XS/XS Max/XR/8/X/7s/7/6s/6/SE iOS 11/10 within 30 seconds only. 100% free and clean of any ads, spyware or malware. Freegal Music is a good free music downloader app for iPhone XS & iPhone XR that comes with various useful music downloading feature for iPhone, iPad and iPos touch. This iPhone music downloader offers about 7 million MP3 songs, including Sony Music's catalog of legendary artists. On the right of each song, there will be a down arrow and press which you can start the download process. However, there are many complaints about this free iPhone music downloads application on the Sony music only as well as the insufficient 3 songs per week limit. Beats Music, recently purchased by Apple, is also among the best free music download app for iPhone (iOS 12/11/10). 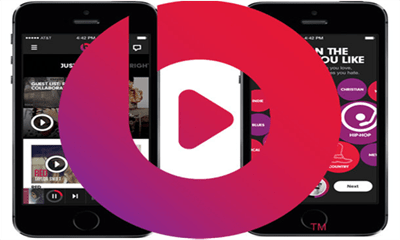 Beats Music is in fact a music streaming service, which allows users to stream more than 20 million songs from the hottest artists on iPhone iPad iPod, Android and Windows Phone, and then download the music free on iOS devices for offline playback. However, this iPhone music download app doesn't allow music downloads to computer or other devices, or to be burned to a CD or similar media. 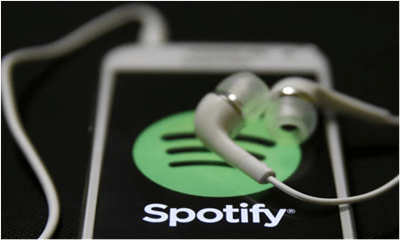 Spotify is a popular music streaming service, and also a good music downloader for iPhone XS/XS Max/XR/X/8/7/6S/6S Plus/6 etc. Once you have a premium account, you can save the huge and expanding library in your local files to play offline. This free iPhone music downloads service has many powerful features to enable users to browse, play and download music on iPhone 8/XR/XS, iPad and iPod touch. But note that you don't download those songs actually, but save them for offline playing, and you have to make sure that your premium subscription is paid every month. 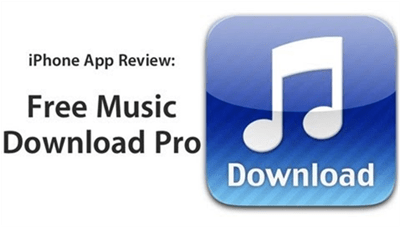 Free Music Download Pro is a fully-featured free iPhone 8 music downloader and player with vast number of free music available. It works as a MP3 downloader for iPhone X/XS/XS Max/XR, iPad, iPod with music download links from various websites. The built-in music player lets users to search and browser music on free music websites. It works from iOS 5.0 to iOS 10/9. Note that the free version of the iPhone music download app allows 15 songs for download and playback only, or you can pay $0.99 to get more resource. SoundTube is a 100% free music downloader for iPhone & iPad which is well-received among iOS users. For those who like SoundCloud but have no means to download your favorite music songs for offline playback, it may be the best free music download app for iPhone as it make it accessible to free download millions of tracks on SoundCloud on iPhone XS/XS Max/XR/8/X/7s/7/6s/6/SE/5s. With this free iPhone music MP3 downloader player for SoundCloud, all the genres like classic, rock, country etc are available for offline playback. iDownlaoder Pro comes as not only a free iPhone music downloads application, but also a music player, photo viewer and web browser. It keeps ultra fast download speed and allows up to 50 simultaneous downloads at the same time. This iPhone music downloader app works well at first to download music, videos and movies, however, the latest version can only play, create playlists for and download music songs in m4a and m4b only and it seems to have troubles with the latest iOS 12/11/10/9 system. 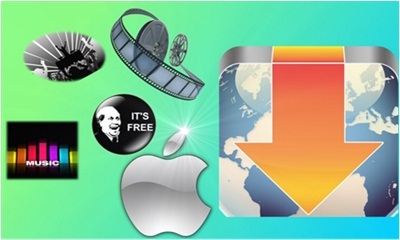 Total Downloader also provide good solution to free music download for iPhone (iOS 12). Suggested by its name, it not only download MP3 music files on iPhone, but also support videos download in MP4, MOV, M4V, 3GP, MPEG, and even download all iOS supported files (doc, xls, ppt, pdf, pages etc) within one click. Total Downloader is a fully functional file downloader and a must-have app for those who like listen to music on iPhone offline without Wi-Fi. Free Music Download and Player is another MP3 music downloader for iPhone. It's 100% free available for iOS 8 iPhone 6/6 Plus and 5S. With this iPhone music songs downloader, millions of free songs, DJ sets, remixes, tracks and live converts are ready for download offline within one tap. This iPhone music download app is not popular, but loved by users who have ever used it. But the lack of iOS 9 support and annoying ads may be a issue. 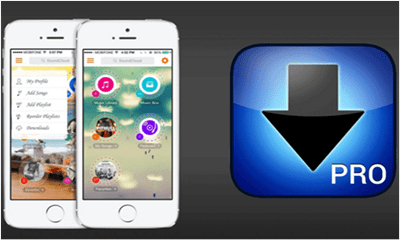 MUSIC DL is another iPhone free Mp3 downloader & player from SoundCloud & SoundHound. Similar to SoundTube, it lets users to discover and download the downloadable music from SoundCloud for offline playback on iOS devices. It can download up to 10 simultaneous songs in ultra fast downloading speed. But the spam and ads are quite annoying. MyMP3 works different than other iPhone music downloaders offline in the list. It is in fact a video to MP3 converter, which will covert videos from various websites to MP3 files on iPhone. This feature is quite useful when users hear some music in the video but don't know the name, and works pretty good according to the users' feedback. Users can get the above paid or free music downloader for iPhone and start music downloading. But considering the limits in various aspects, like the inability to support latest iOS 12, or one music streaming service oriented only, or limits on number of songs etc, a more powerful way to enjoy unlimited music on iOS 12 iPhone XS/XS Max/XR/8/7s/7/Plus/6s/6/5s is required. MacX MediaTrans, a professional music transfer for iPhone XS/XS Max/XR/8/7s/7, can easily move downloaded music from Mac or PC to iPhone (iOS 12 - iOS 8 more) with world's No.1 fast speed and original quality reserved. In addition to music, this iPhone music video transfer software also enables users to add videos to iPhone or move photos from iPhone to Mac (macOS Mojave). Step 1: Free download this iPhone music transfer software and launch it on your Mac computer. Connect your iPhone to Mac with a USB cable. If you are a Windows user, you are suggested to download Windows version of iPhone music video transfer. Step 2: Tap the "Music Manager" icon to enter the music transfer interface and hit "Add Music" button to select your desired music you wanna transfer from Mac to iPhone XS/XS Max/XR/X/8/7s/7/6s/6/SE/5s. Step 3: Click "Sync" button to start to add music to iPhone from Mac/PC. 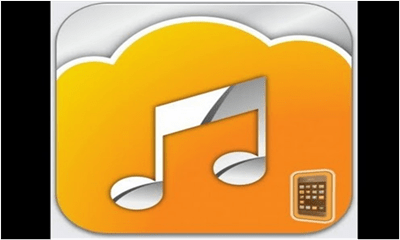 The above best iPhone music songs downloaders can free download music on iPhone without jailbreak. For jailbroken iPhone or other iOS devices, we also share a few awesome Cydia tweaks that can download songs MP3 audio offline for jailbroken iOS devices. 1. MusicDog: a completely free music streaming app in Cydia with a growing library with over 100,000+ tracks. You can listen, share and download the music and millions of tracks at your disposal you have one incredible jailbreak iPhone music download app. 2. dTunes: dTunes is an iTunes music alternative for jailbreak iPhone to search, discovery and download music/videos directly on iPhone. It supports various music formats including MP3, MP4 etc. Users can download multi tracks at the same time. 3. MewSeek: MewSeek is a music downloader app in Cydia store to allow jailbroken iPhone users to search, stream and download music over Wi-Fi or 3G connection. 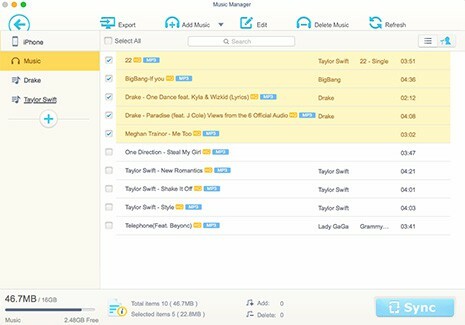 With this music app, users can download music offline on iPhone, iPad and iPod instantly without iTunes or computer. Free Download Music for iPhone from 300+ Music Sites, Including YouTube, Vimeo, SoundCloud, etc.